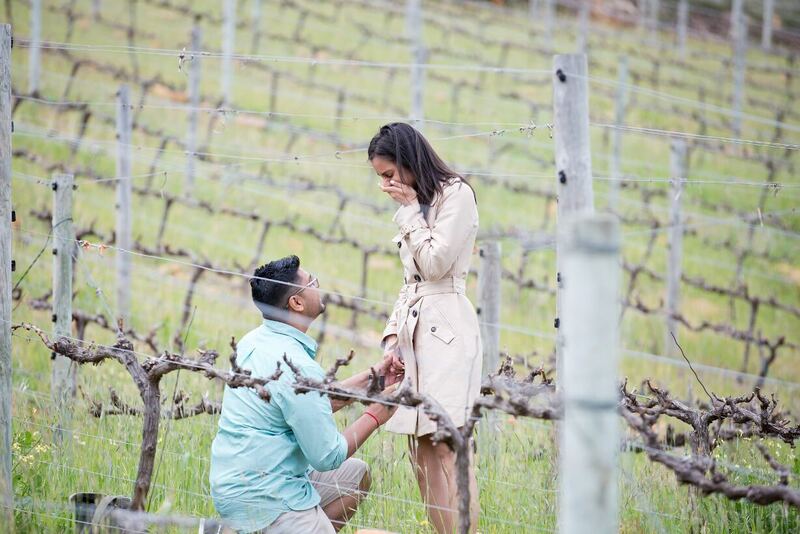 On the 21st September, Trishan and Seema got engaged! 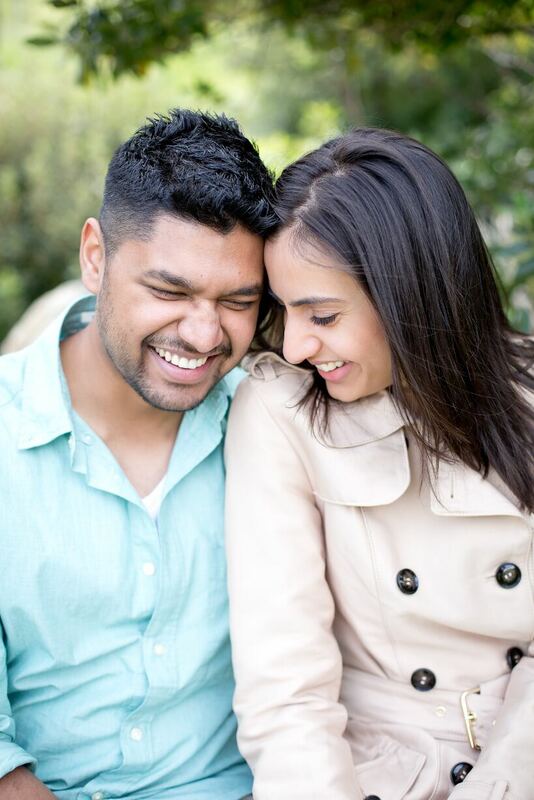 Trishan contacted us as he required assistance with setting up a perfect proposal. 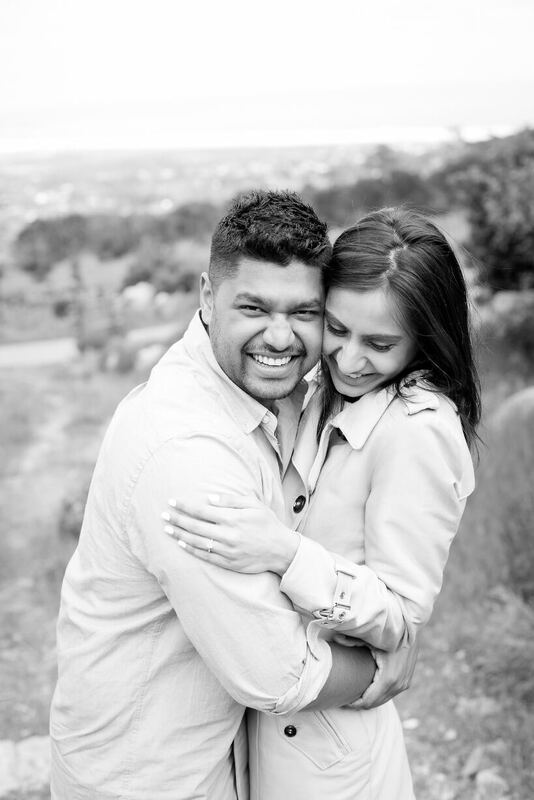 This lovely couple has been together for eight years and is from Joburg. 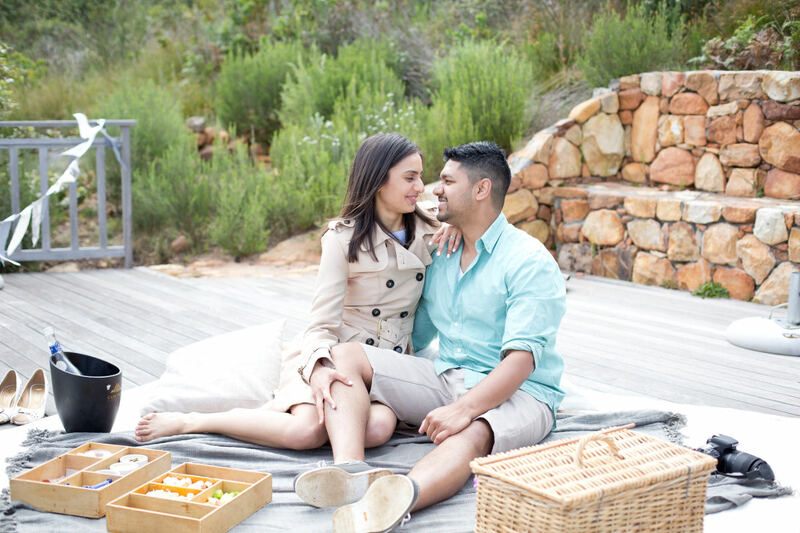 As they have been together for quite a while, Seema was expecting a proposal at some point and this is why we assisted with keeping it a BIG surprise. 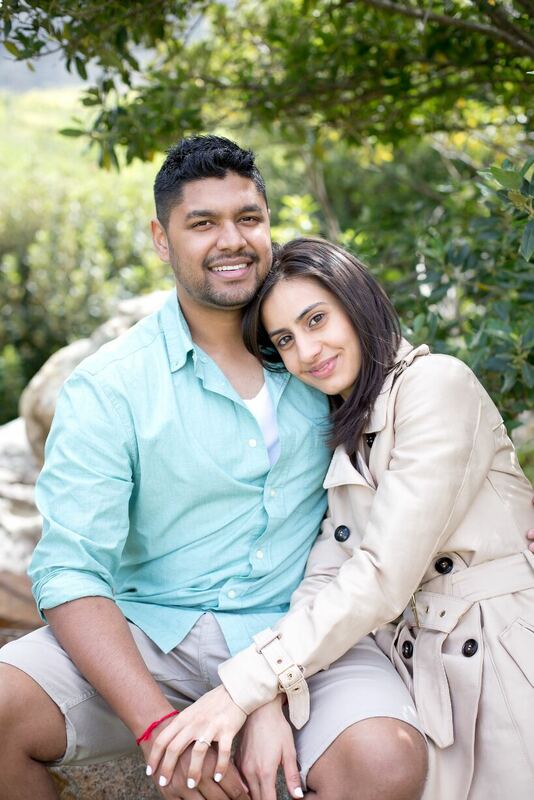 Seema loves green and grey colours and spending time in the outdoors, going on hikes and picnics. 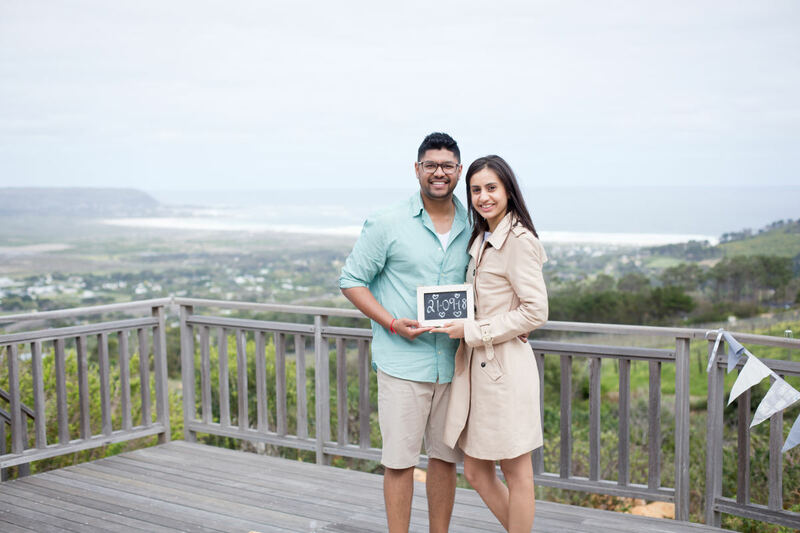 Trishan wanted to surprise Seema with a venue with ocean and mountain views. He wanted the day to be meaningful and private. 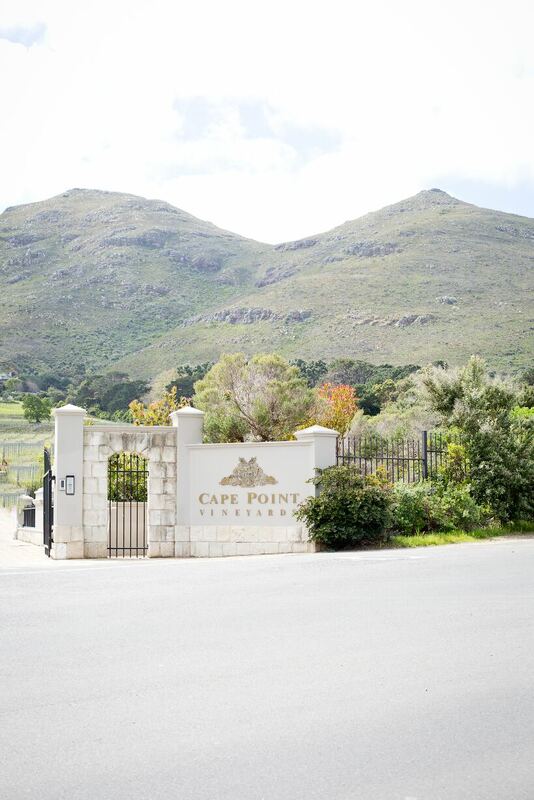 We suggested Cape Point Vineyards, as it is one of the few venues in the Cape, that has views of the ocean, mountains and vineyards. 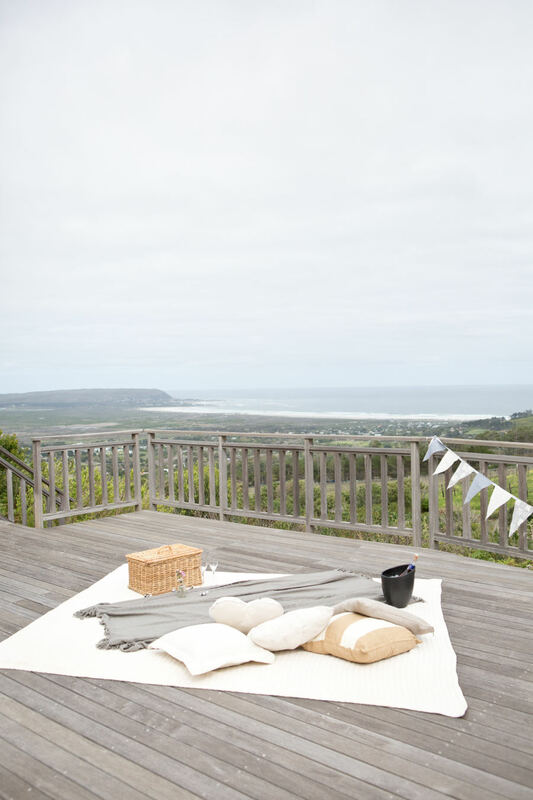 It also has a hidden deck that is completely private and tucked away amongst the vineyards. 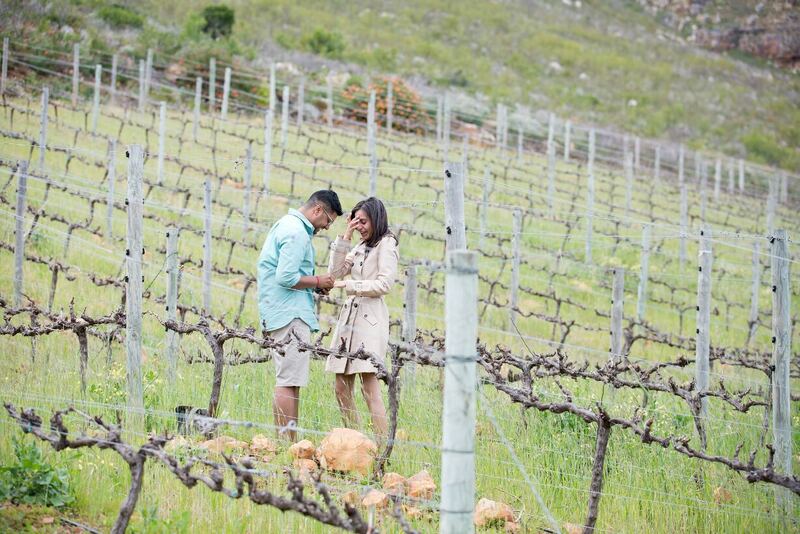 Trishan and Seema proposal at Cape Point Vineyards was magical. 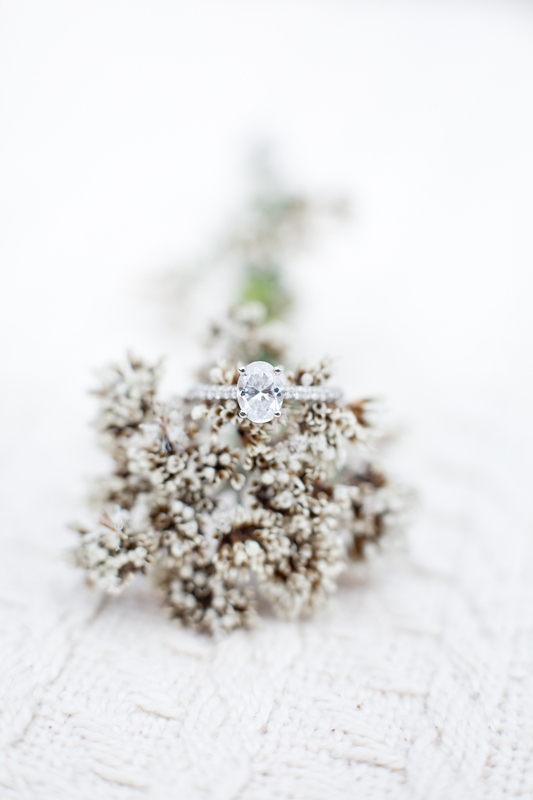 Congratulations and we wish you every bit of happiness for your future together!